An international scientific team from Germany, Bulgaria, Greece, Canada, France and Australia, headed by Professor Madelaine Böhme (The Senckenberg Centre for Human Evolution and Palaeoenvironment at the University of Tübingen) and Professor Nikolai Spassov (National Museum of Natural History at the Bulgarian Academy of Sciences), presents evidence that the first hominins (first pre-humans) rose on the Balkans 7.2 Ma ago. The present-day chimpanzees are humans' nearest living relatives. Where and when the last chimp-human common ancestor lived is a central and highly debated issue in palaeoanthropology. 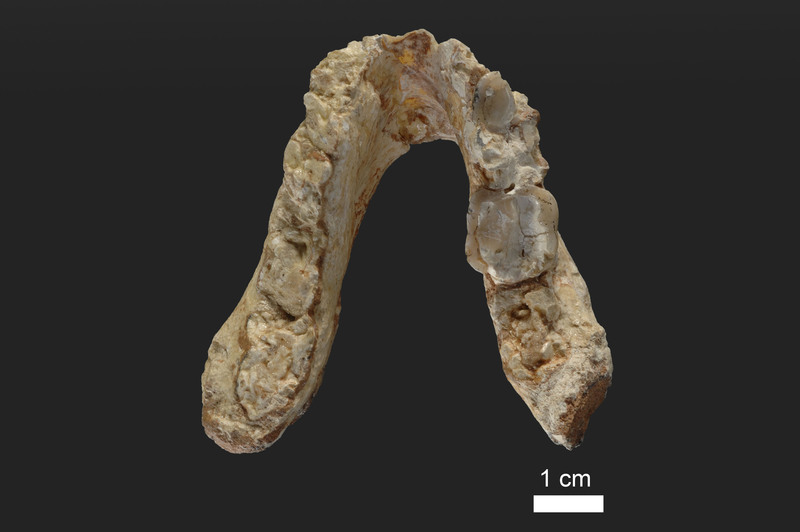 Researchers have assumed up to now that the lineages diverged five to eight million years ago and that the first pre-humans developed in Africa. The research published on May 22 2017 in PLOS ONE presents another scenario about the origin of humankind. The new view point is based on two fossil remains, discovered in Greece (at Pyrgos Vassilissis near Athens) and in Bulgaria (the area of Azmaka near Chirpan). 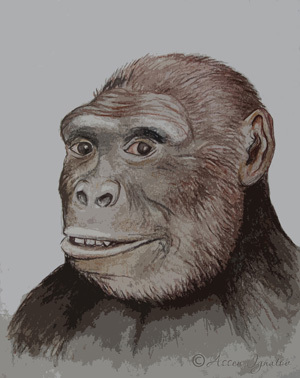 In one of the papers the authors demonstrate that both finds refer to the same species, the fossil hominid Graecopithecus freibergi. They point out that its features give ground to consider Graecopithecus a pre-human (hominin). The other paper sets the geological age of Graecopithecus using biochronological and geophysical methods. The rather dry savannah palaeoenvironment of this pre-human is also restored. 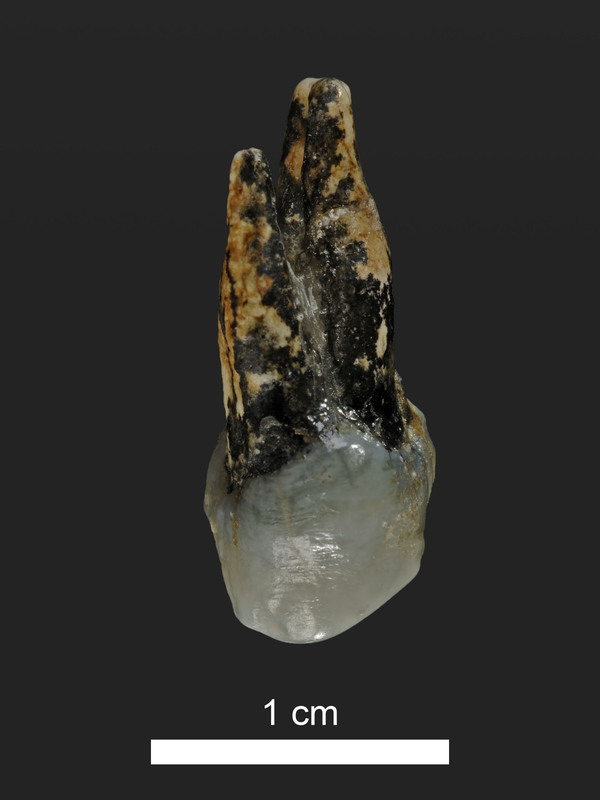 The determined remains of the mastodont Anancus sp., the bovid Tragoportax macedoniensis and several other newcomers in the local fossil fauna indicate that the age of the Graecopithecus localities is younger that the one of the well-known palaeontological locality of Pikermi in Greece. The precise analyses show an age of 7.24 Ma for the find from Azmaka and respectively 7.175 for the one from Pyrgos Vassilissis. All of this characterises Graecopithecus, nicknamed El Graeco, the oldest potential hominin, whose age exceeds by several hundred years that of Sahelanthropus, found in Chad and considered until now to be the oldest hominin. Thus, the chimpanzee-human lineage split and the appearance of pre-humans most probably occurred in the Eastern Mediterranean and not — as customarily assumed — in Africa. 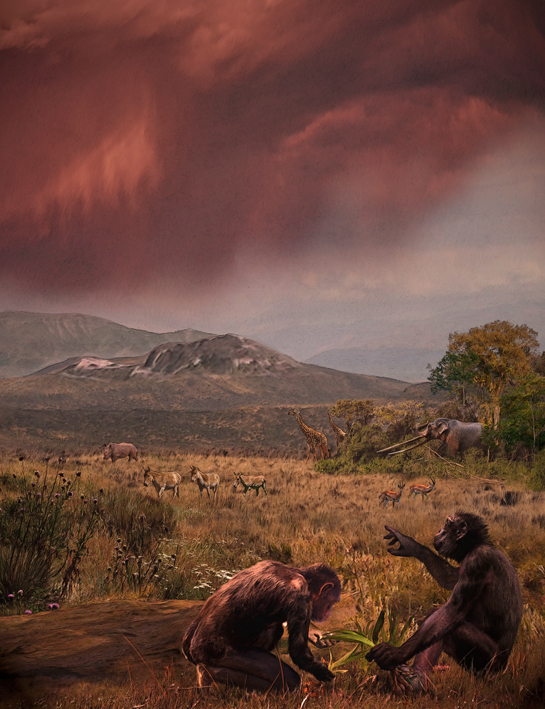 In 1994 the eminent French palaeontologist Yves Coppens emphasised the role of drought of the East African landscapes in the evolution and the straightening of the pre-humans and called it the East Side Story. Today we have more reason to relate this process with a North Side Story.